Avoid the hassle of motorway delays on the way to the airport. Let the train take you straight there. So you've booked your holiday, you're planning and packing for your trip, but have overlooked how you're actually going to get to the airport. It's an easy thing to do. What if there was a simple way to get to the airport without having to think about driving there yourself and leaving your vehicle in a car park for the duration of your trip? 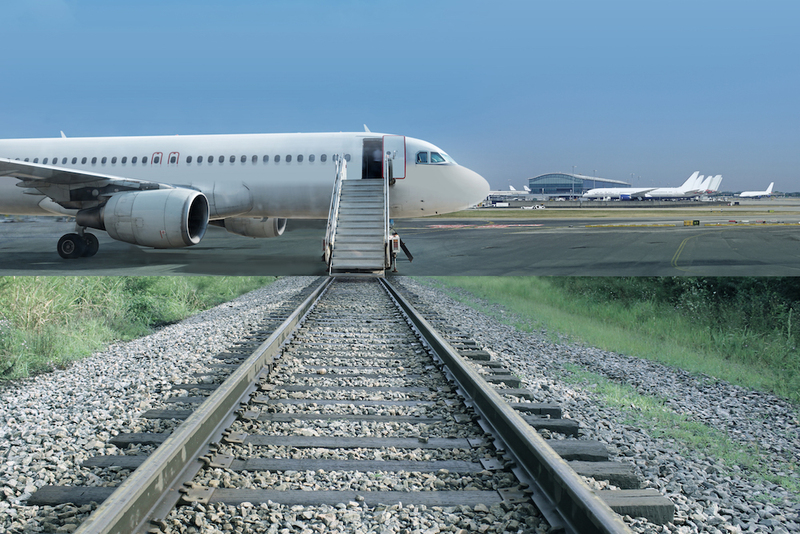 An airport by rail transfer is the perfect solution to this. Not only will you not have to worry about driving yourself to the airport, you'll also avoid any potential traffic jams and incidents on the road that that could affect your journey and result in rushing to the terminal, or even missing your flight. Just hop on at your nearest station, and let the train do the work for you. Hop off directly at the airport and you're good to go! A maximum of two children between the ages of 5 and 15 can travel FREE if they are with one or more paying adults. What's more, children under 5 always travel free. Be aware that child discounts are not applicable on routes via the Transpennine Express, where they will be charged at half the adult fare. See details of routes where the service is currently disrupted. Rail tickets cannot be booked within four working days of when you want to travel. A minimum of two passengers must travel on a return journey. The return journey must be more than 48 hours after the outward trip. The ticket must also be part of a package including overseas travel by air. We all love that holiday feeling, so why not start your break a day earlier in an airport hotel? We offer a huge selection of airport hotels at over 25 UK airports, including 2-star, 3-star, 4-star and 5-star hotels, undercover hotels and hotels with family rooms. If you're looking to avoid the stresses that may come with being in the airport, an Airport Lounge is a great option. Enjoy up to thee hours of relaxation, including complimentary drinks and snacks, away from the hustle and bustle of the airport.